Discover why the 2018 Lincoln Navigator is the First American Vehicle Ever to Top J.D. Power APEAL Study! 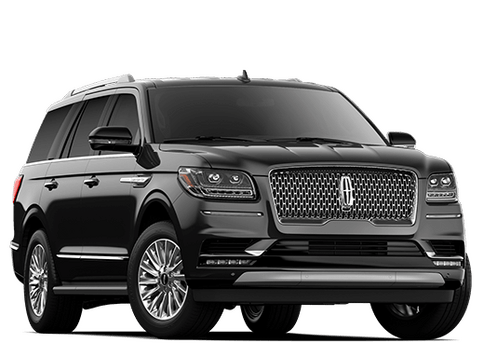 The 2018 Lincoln Navigator, the sleek full-size luxury SUV that dealers can barely keep on their lots, has now officially been ranked by customers as the most appealing vehicle in the entire industry, marking the first time an American vehicle has ever dominated the J.D. Power Automotive Performance, Execution and Layout (APEAL) study. 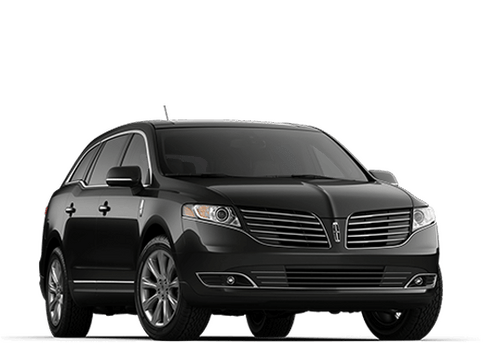 In fact, based on customer scores that lauded everything from Navigator’s technology to seat comfort, its score is the highest in this generation of the study (2013-2018) besting other luxury brand SUV’s. Check out our 2018 Navigator Inventory in Orlando! That being said, let’s find out how the 2018 Lincoln Navigator compares to the also very popular 2018 Lexus LX 570. The Navigator (except Premiere)’s offers an optional driver alert monitor that detects an inattentive driver then sounds a warning and suggests a break. According to the NHTSA, drivers who fall asleep cause about 100,000 crashes and 1500 deaths a year. The LX 570 doesn’t offer a driver alert monitor. Both the Navigator and the LX 570 have standard driver and passenger frontal airbags, front side-impact airbags, side-impact head airbags, front seatbelt pretensions, height adjustable front shoulder belts, four-wheel antilock brakes, traction control, electronic stability systems to prevent skidding, daytime running lights, blind spot warning systems, around view monitors, rear cross-path warning, available all-wheel drive, crash mitigating brakes and lane departure warning systems. Even in the toughest situations the 2018 Navigator will get you home! The Navigator has a standard “limp home system” to keep drivers from being stranded if most or all of the engine’s coolant is lost. The engine will reduce its power and light a warning lamp on the dashboard so the driver can get to a service station for repairs. The LX 570 doesn’t offer a lost coolant limp home mode, so a coolant leak could strand you or seriously damage the SUV’s engine. When it comes to initial quality the Navigator wins again! J.D. 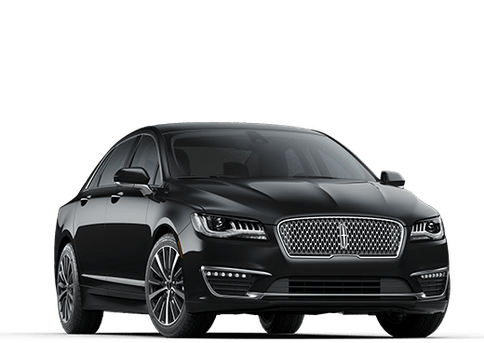 Power and Associates’ 2017 Initial Quality Study of new car owners surveyed provide the statistics that show that Lincoln vehicles are better in initial quality than Lexus vehicles. J.D. Power ranks Lincoln 9th in initial quality, above the industry average. With 6 more problems per 100 vehicles, Lexus is ranked 15th, below the industry average. The Navigator’s 3.5 turbo V6 produces 67 more horsepower (450 vs. 383) and 107 lbs.-ft. more torque (510 vs. 403) than the LX 570’s 5.7 DOHC V8. Fuel mileage! Yes, it’s Navigator again! When you are looking for a luxury large SUV gas mileage is important. On the EPA test cycle the Navigator 4x4 gets better fuel mileage than the LX 570 (16 city/21 hwy vs. 13 city/18 hwy). In heavy traffic or at stoplights the Navigator’s engine automatically turns off when the vehicle is stopped, saving fuel and reducing pollution. The engine is automatically restarted when the driver gets ready to move again. (Start/Stop isn’t accounted in present EPA fuel mileage tests.) The LX 570 doesn’t offer an automatic engine start/stop system. The Navigator has a standard cap-less fueling system. The fuel filler is automatically opened when the fuel nozzle is inserted and automatically closed when it’s removed. This eliminates the need to unscrew and replace the cap and it reduces fuel evaporation, which causes pollution. The LX 570 doesn’t offer a cap-less fueling system. Do You want Better Acceleration on the Highway? Choose the Navigator. A 10-speed automatic transmission is standard on the Lincoln Navigator, for better acceleration and lower engine speed on the highway. Only an eight-speed automatic transmission is available for the LX 570. Why does the 2018 Navigator Ride and Handle so well? Too many reasons to list here! If you want a superior ride and handling, the 2018 Lincoln Navigator has fully independent front and rear suspensions. An independent suspension allows the wheels to follow the road at the best angle for gripping the pavement, without compromising ride comfort. The Lexus LX 570 has a solid rear axle, with a non-independent rear suspension. The Navigator has standard front and rear gas-charged shocks for better control over choppy roads. The LX 570’s suspension doesn’t offer gas-charged shocks. The Navigator’s drift compensation steering can automatically compensate for road conditions which would cause the vehicle to drift from side to side, helping the driver to keep the vehicle straight more easily. The LX 570 doesn’t offer drift compensation steering. For a smoother ride and more stable handling, the Navigator’s wheelbase is 10.3 inches longer than on the LX 570 (122.5 inches vs. 112.2 inches). For better handling and stability, the track (width between the wheels) on the Navigator is 2.7 inches wider in the front and 2.4 inches wider in the rear than the average track on the LX 570. For better maneuverability, the ’s turning circle is 38.7 feet tighter than the LX 570’s ( feet vs. 38.7 feet). For greater off-road capability the Navigator has a greater minimum ground clearance than the LX 570 (9.6 vs. 8.9 inches), allowing the Navigator to travel over rougher terrain without being stopped or damaged. More passenger space means happier passengers! The Navigator has 28.6 cubic feet more passenger volume than the LX 570 (172 vs. 143.4). The Navigator has 3.5 inches more front headroom, 1 inch more front legroom, 3.2 inches more front hip room, 4.2 inches more front shoulder room, 1.1 inches more rear headroom, 6.7 inches more rear legroom, 3.1 inches more rear hip room, 6 inches more rear shoulder room, 1.5 inches more third row headroom, 7.8 inches more third row legroom and 1.9 inches more third row shoulder room than the LX 570. You can store lots of stuff! The Navigator offers you more Cargo Capacity. The Navigator’s cargo area provides more volume than the LX 570. The Navigator has a standard third row seat which folds flat into the floor. This completely clears a very large cargo area quickly. The LX 570 doesn’t offer seats that fold into the floor. Pressing a switch automatically lowers the Navigator’s second and third row seats, to make changing between passengers and cargo easier. The LX 570 doesn’t offer automatic folding second row seats. To make loading groceries and cargo easier when your hands are full, the Navigator’s cargo door can be opened and closed just by kicking your foot under the back bumper, leaving your hands completely free. The LX 570 doesn’t offer a hands-free gesture to open its cargo door, forcing you to put cargo down if your hands are full. If you need more towing capacity, you better choose the Navigator! Maximum trailer towing in the Lexus LX 570 is limited to 7000 pounds. The Navigator offers up to a 8300 lbs. towing capacity. The list goes on! 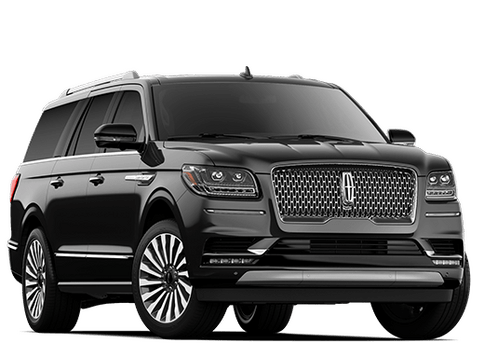 When it comes to choosing a large luxury SUV the 2018 Lincoln Navigator is simply a superior vehicle. But don’t take our word for it, come to Central Florida Lincoln in Orlando and take a test drive! 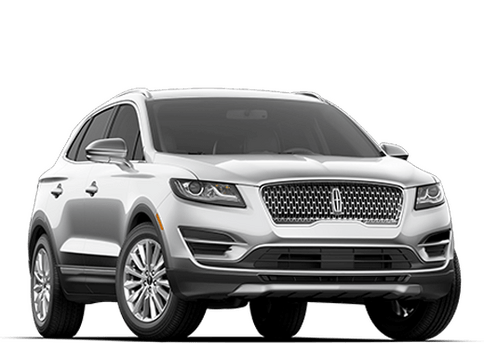 Check Out Central Florida Lincoln’s 2018 Navigator Inventory in Orlando! 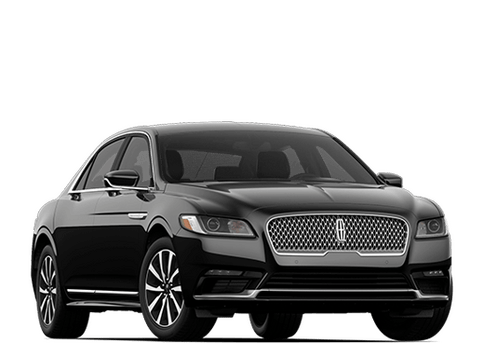 The best way to compare the 2018 Navigator to the competition is to come test drive one yourself at Central Florida Lincoln in Orlando. The professional staff at Central Florida Lincoln strives to assist you throughout your purchasing process answering questions, helping find the right vehicle, to financing and after the purchase. 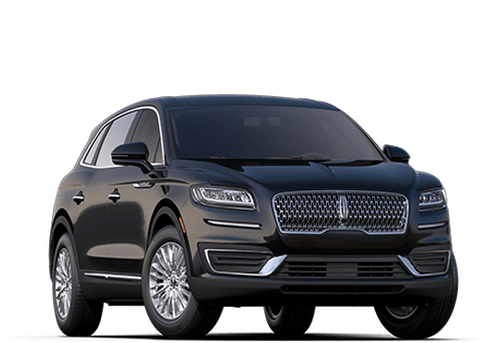 Discover why luxury SUV shoppers come from all over the Orlando metro area to buy their Navigator from Central Florida Lincoln. Feel free to call us anytime at (800) 542-8471 or use our contact form on our website.